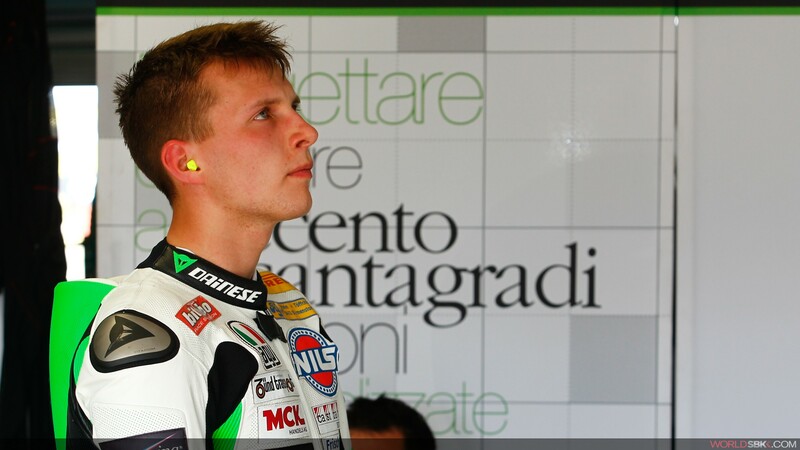 The Grillini Racing Team has announced that Dominic Schmitter is to make his WorldSBK premier class debut in 2016. Schmitter, from Altstätten in the German-speaking park of Switzerland, has been part of the WorldSBK paddock since 2013 when he competed in the Superstock 600 class. In 2014 there were three races in the FIM Supersport World Championship ahead of a full season in the category last year with Team Go Eleven; he ended it 14th overall, finishing every race bar one and scoring a best result of eighth place at MotorLand Aragon. “I'm happy to be a part of Grillini Racing Team for 2016,” Schmitter says. “It is great to make this happen. I have always dreamed about being in World Superbike. I will be one of the youngest riders in the field and the first Swiss rider to do a full season. Team Manager Andrea Grillini shares his rider’s optimism. Born in 1990, Schmitter turned 25 last June. His professional career started in 2008, competing in the ADAC Junior Cup. After this, the period of 2009 to 2013 was spent in Germany’s IDM Championship, starting in the 125 class before moving into Supersport.